Yup, it's this week's craziest Craigslist car. Craigslist gets a bad rap for being a place where all sorts of weird and dubiously legal/outright illegal things take place. While that may be true for some parts of the classifieds site, the autos section is usually pretty on the level. However, this week’s craziest Craigslist find proves that even the cars for sale section sometimes has its troublemakers. No, we’re not just talking about price gougers and swindlers. This week’s craziest Craigslist find Nissan Skyline for sale in…Nashville, Tennessee. Fun fact: Tennessee is a state in the United States, a country where it is not yet legal to import the R34 Skyline. This Craigslist ad was originally posted to Reddit, and in that thread there’s on the legality of the small handful of R34s in the US. It’s a great read, but the gist is that the majority of the R34s in the country are currently here illegally; only a small handful have clean documentation. That’s probably why this example is listed for just $58,000. 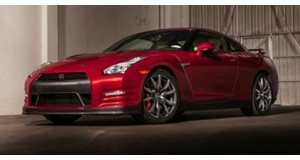 The right-side drive car has 45,000 kilometers (27,961 miles) and sports the RB26DETT 2.6-liter inline-six good for 276 horsepower and 289 lb-ft of torque. It packs a six-speed manual transmission and all-wheel drive. The poster says the air conditioning and the heat work. It’s also mentioned that the clutch will need work soon, so there’s that. (Apparently the price was set to reflect that.) The interior doesn’t look to be in bad shape at all, but the exterior… What the hell happened here?! The R34 Skyline doesn’t need any help in the looks department. It doesn’t need to be lowered or have any sort of bits and bobs from a body kit installed. Part of the appeal of the Japanese-only GT-R, aside from the fact that it wasn’t sold in the US, is its unique look. Why take an R34 and turn it into a Nissan 240SX? That’s only the second worst thing about this car, though. The first is that it will probably never be legal in the United States unless you have a lot of time, money and a good lawyer. Basically, cars that were never sold in the US can’t be imported for 25 years. That’s why the market for the R32 Skyline , because it’s been 25 years since 1990 and 1991 model years. The R34 was produced from 1999 to 2002, meaning the first one can legally be imported in 2024. It’s a lot more complex than that and there are some exceptions, but that’s the overall idea. How this R34 got here is anyone’s guess. It doesn’t appear to be a special edition or one meant strictly for racing. Yeah, $58,000 sounds like a dope deal but there’s a good chance this car will eventually be crushed or impounded. But hey, if you just keep it in the garage or driveway and show it off there you may be able to escape the feds. Still, why not wait a few years and get an R34 GT-R that you can actually drive around and torture JDM fanboys with?